Have you seen it? 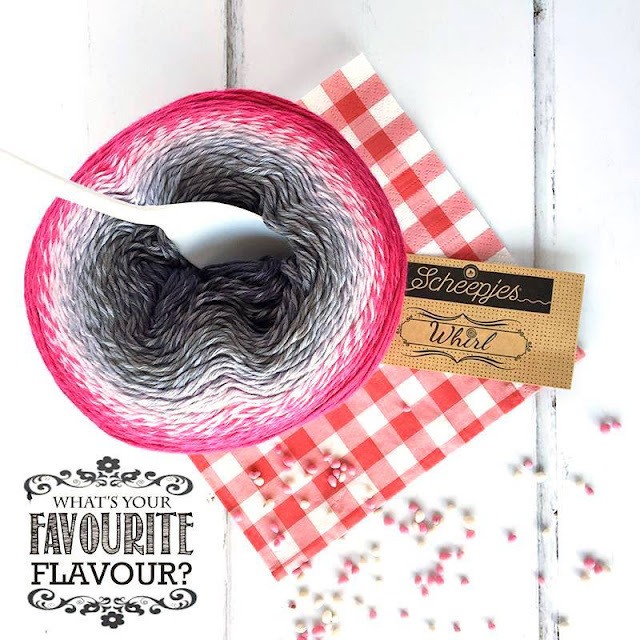 There's a new sweet yarn that is rolling around like crazy right now called Scheepjes Whirl. I'm telling you--it's as amazing as folks are saying. And I've got some on my hook right now. Now I recognize that this is not a colorway that you typically see from me, but I decided that this yarn is so terrifically beautiful that any colorway would be stunning. Guess what? It is! There are more! These additional 3 scrummy colors will be available May 11! I have a crazy vision of some serious color-play with a motif blanket. Fun, huh? I love that you can begin working with the outside of the cake, or the inside depending on the look you want. I started mine from the inside and was very pleased at the ease of working the entire cake without an tangles or issues. Smooth as ice cream. When I spoke with the Scheepjes folks about Whirl, I was told that there is no other yarn out there that is manufactured like it. What that means is instead of abrupt color changes like seen in so many "cake" yarns these days, the most subtle and lovely gradient occurs. 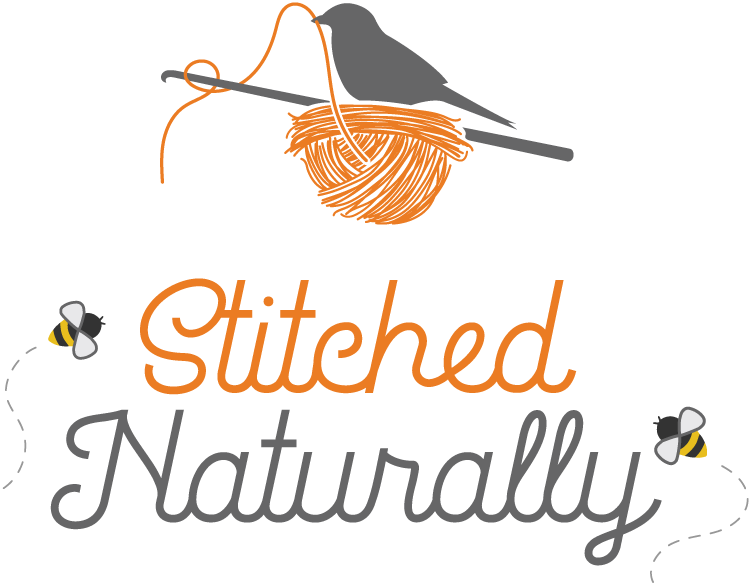 I'm silly tickled about this yarn. 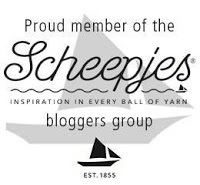 Some additional good news is that if you are living in the US and wanting to get your hooks into some of this or other Scheepjes yarns, you can do so from Lovecrochet without paying international shipping costs. 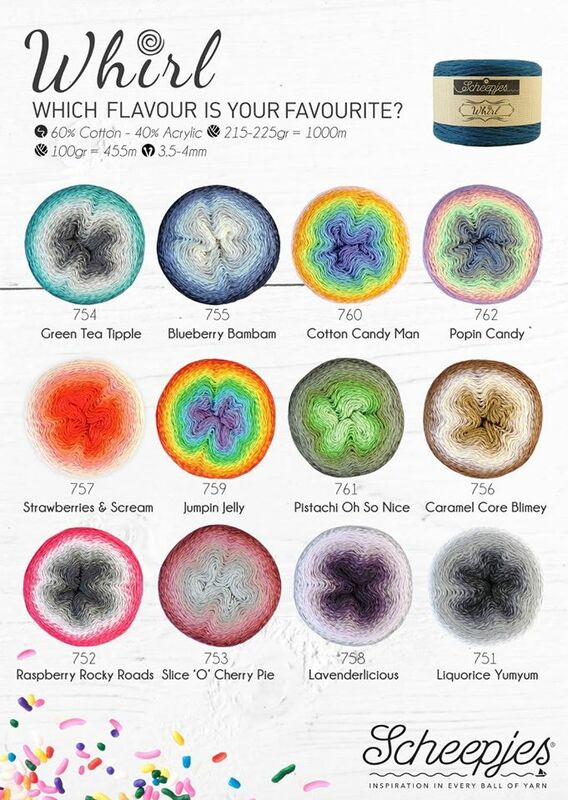 Click here* to see what Lovecrochet* has available. 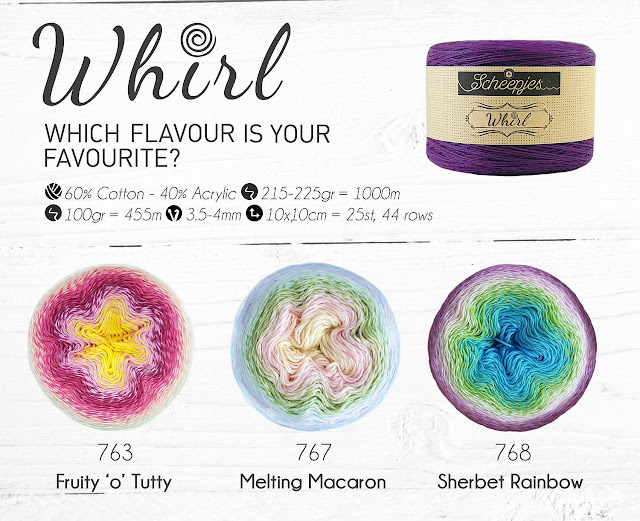 And, as always, you can find it on Wool Warehouse here* or Deramore's here*. I'll be sharing what I've made with this lovely Caramel Core Blimey very soon. Feel free to leave ideas in the comments about what you would make with it--or other beautiful designs you have seen using it around the world. Or just let me know what your favorite "flavor" is? 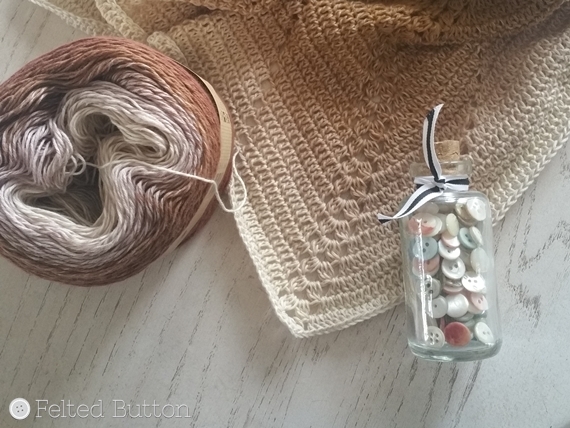 Stay in the "Button" loop by following along on Facebook, Pinterest or Instagram (@FeltedButton). 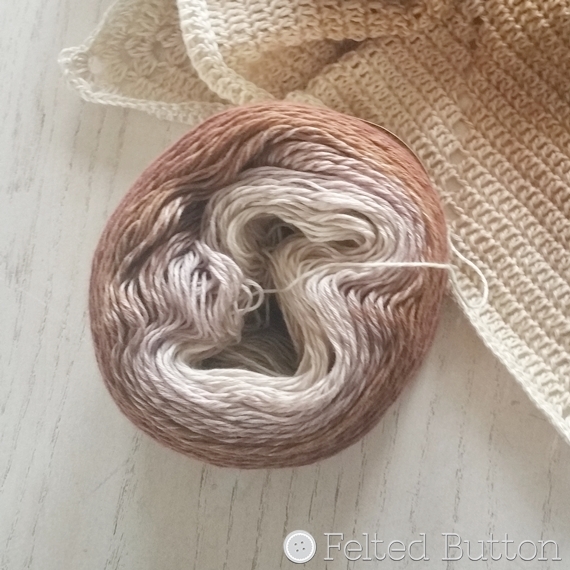 I love that caramel colour - I have the new one - Melting Macroon and Lavender delicious. The lavender I am thinking of making a long cardigan with squares - not sure about the other yet. Maybe a nice wide wrap.